The present political crisis in Kuwait, the tiny oil-rich Gulf state, appears, for observers from abroad, in fact rather concerning. And even inside the country, which is usually considered one of the richest in the world, most citizens, and expatriate workers as well, not only raise eyebrows when reading the latest news in Kuwaiti newspapers which have found their way into the international print media. 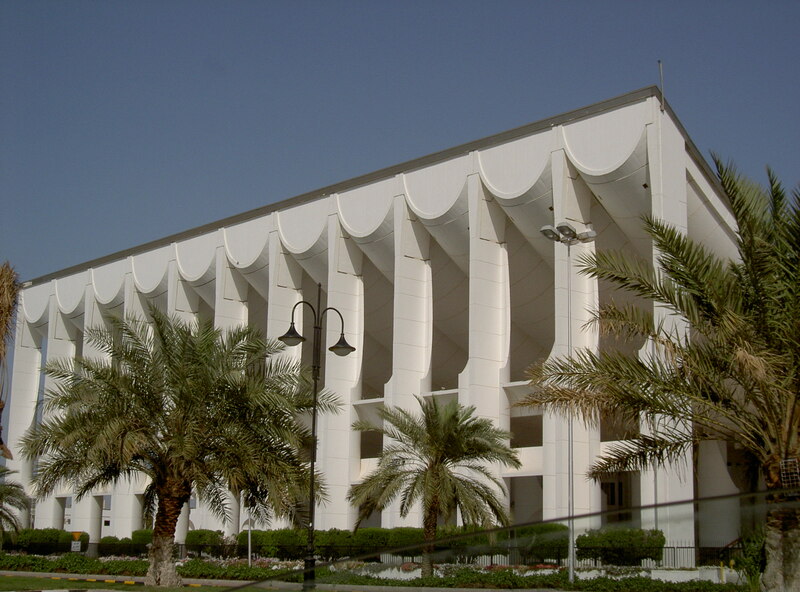 Earlier this year, the parliament had been dissolved by HH the Emir, Sheikh Sabah Al-Ahmad Al-Jaber Al-Sabah. In order to lessen tribal and Islamist elements in the upcoming election, the government has decidedly cracked down on any tribal ‘primaries’ held by the tribes for consolidating their votes. With little success, though. In fact, the entire election campaign was plagued with illegal primaries. And finally the Islamist bloc gained four seats in the parliament. In July, riots among consistently under- and even unpaid Bangladeshi cleaners emerged, a workforce of about 250’000 which is usually kept (of course ‘voluntarily’) in completely unacceptable and, in fact, inhumane living conditions with salaries of about 40 dinars a month (less than $150); not only in Kuwait by the way but rather all countries of the Arabian peninsula. Numerous ‘troublemakers’ (strikers) had been deported it is said. Earlier this month, the Kuwaiti Stock Exchange, due to a bigger plunge of 43% since June, was closed after a heavily disputed court decision. One of Kuwait’s main lenders, the Gulf Bank, is reported to have lost 1 billion dollars in failed derivative deals. As everywhere in the world, irresponsible, greedy gamblers have ruined also in the Middle East assets of millions of civilians. With falling oil prices the party might in fact soon be over. Maybe that will eventually satisfy the Salafist faction in the Kuwaiti parliament, which has started a further attempt to intimidate the cabinet. Three lawmakers with a notorious reputation of pursuing questionable motions and double standards in the country, were about to interpellate and even impeach (‘grill’) the Prime Minister, Sheikh Nasser Mohammad Al-Ahmad Al-Sabah not the least because of allowing a controversial Shi’a cleric from Iran into the country who had banned before. Allegedly, that person had offended the Prophet of Islam and some of his companions. It actually turned out to be impossible to figure out what he had actually said, so any commentary on that ‘insult’ is impossible. But the Kuwaiti people undisputedly consist of members of different branches of Islam, 70% Sunni and 30% Shi’a, which are not getting so easily together. In order to circumvent the grilling, the cabinet resigned in the meantime. In order to block the cabinet’s resignation, which might lead to another dissolution of the parliament, one now expects a ‘reshuffle’. Democracy as psychoanalytic group therapy. While two of the notorious barraters, who are responsible for the new political crisis in Kuwait, Mohammad Hayef Al-Mutairi and Abdullah Al-Bargash, have become members of the parliament through illegal primaries, the third, Dr. Waleed Al-Tabtabaei, had disputed some time ago the need for more Christian churches in Kuwait since there are already 20 churches in the country, certainly enough for the 12 large Christian families among the Kuwaitis. A more than frivolous comment, completely disregarding the 300’000 expatriate Christians, many from the Philippines. House maids, who are living under similarly poor conditions as their (Muslim) Bangladeshi counterparts. So, lack of credibility, lack of competence, and obviously, lack of any ethical or moral standards, too. The foes of Democracy in the Middle East are zealous, but hypocritical, Islamists, whether in Egypt, Palestine, or now in Kuwait. This entry was posted in Kuwait, Religion and tagged expatriates, financial crisis, grilling, impeachment, Islamists, Kuwait Stock Exchange, parliament, workforce. Bookmark the permalink.